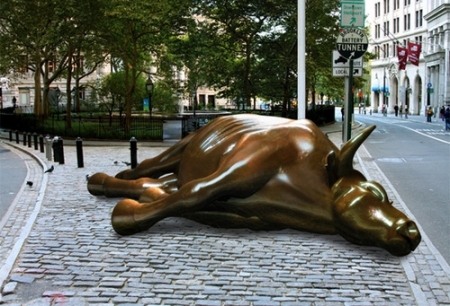 The must-read article of the month is Michael Lewis’ “The End of Wall Street’s Boom.” It is a superb account of our economic crisis and how we got here, as seen through the eyes of a handful of people who predicted it. I thought about quoting snippets, but decided I’d end up quoting most of the piece: it’s really good. After reading this article I went and also read Lewis’ 1989 book Liar’s Poker, the story of his four successful years at Saloman Brothers up to and around the 1987 crash. Though 20 years old by now, it still felt fresh in light of today’s recession. Lewis’ Portfolio article also serves an unintended purpose: sufficient refutation of the notion that stupid, greedy, lower-to-middle class homebuyers are primarily to blame for our present troubles. This, of course, has been a persistent theme during the last six months and represents standard class prejudice. America hates its poor. The Tiger Strikes Again – review of a new complete collection of Calvin and Hobbes strips.